This is a sponsored post written by me on behalf of Tyson Foods, Inc. for SocialSpark. All opinions are 100% mine. It’s September and kid’s activities are in full swing. Between ballet, violin, acting, and jazz classes for 6 kids plus my oldest’s new job wreaking havoc on our schedules, I feel like we are never home in time to cook a decent dinner. My kids have been living on weekend leftovers and frozen dinners. Not that there’s anything wrong with that, I just wish I could serve them something on those busy days that looks like I put at least a little thought into dinner. I know there is no chance of a gourmet meal going on the dinner table during the week, but I have found a great way to make it look like I made an effort to be somewhat domestic. 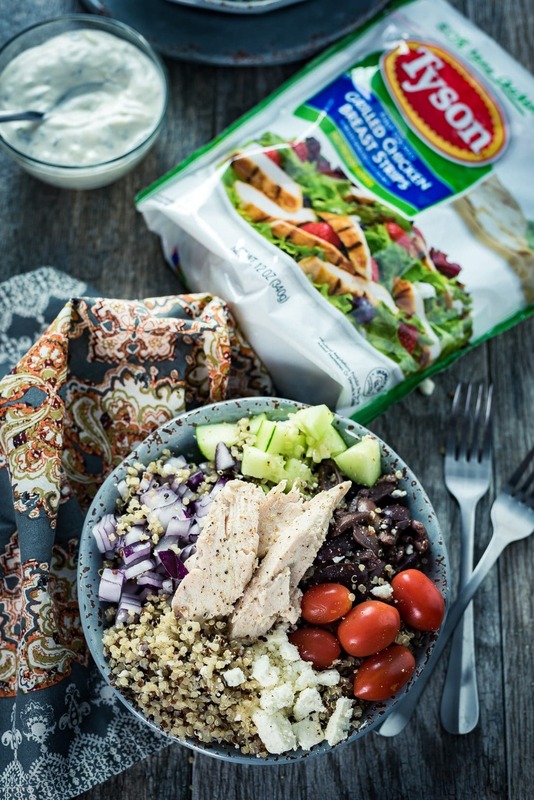 My new go-to food for busy nights is Tyson® Fully Cooked Chicken from Tyson Foods, Inc.
Now, I’ve always known about Tyson Fully Cooked Chicken in the refrigerated section of Publix, but what caught my eye is the new and improved packaging, better quality and new, larger size. I grabbed a couple bags with this great coupon and figured I would see what kind of awesome meal I could throw together for my kids with minimum time and effort, but maximum quality. That’s every mom’s goal, right? 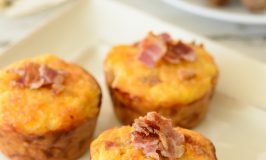 Provide a meal that is Pinterest worthy, but only takes a few minutes to prepare? That’s living the dream! This is how the Mediterranean Quinoa Bowl was born. 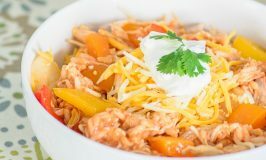 This delicious, easy to prep bowl of goodness is just what my family needed after weeks of leftovers. It was so easy to make too! I chopped all the veggies and cooked the quinoa the night before and stored them in the fridge. 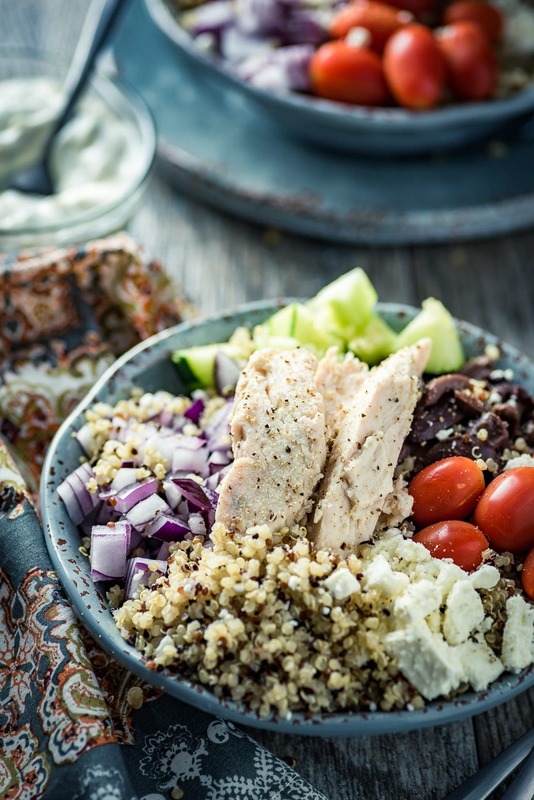 When it was dinner time I threw the quinoa, red onions, tomatoes, kalamata olives, feta cheese and Tyson Fully Cooked Grilled Chicken in a bowl, topped it with some tzatziki sauce and the kids went nuts for it! They devoured it and asked for more. Mom win!! The nice thing about this dish is that you can serve it warm or cold and it’s equally delicious. We like it cold when it’s warm out (which in Atlanta can last into November) and warm when it’s cold out. 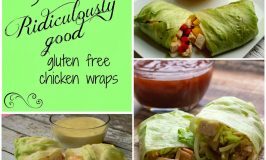 You can even throw the leftovers in a wrap and you have an amazing lunch too. 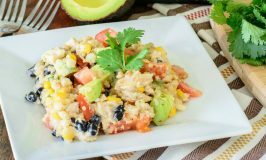 We are huge fans of the Mediterranean bowl, but you could easily change this basic recipe up to make a plethora of easy to go meals. 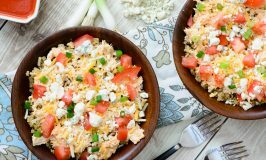 Santa Fe Bowls with rice/quinoa, black beans, fire roasted tomatoes, corn, sour cream and Tyson Fully Cooked Grilled Chicken. Teriyaki Bowls – pineapple, rice/quinoa, broccoli, teriyaki sauce and Tyson Fully Cooked Chicken. 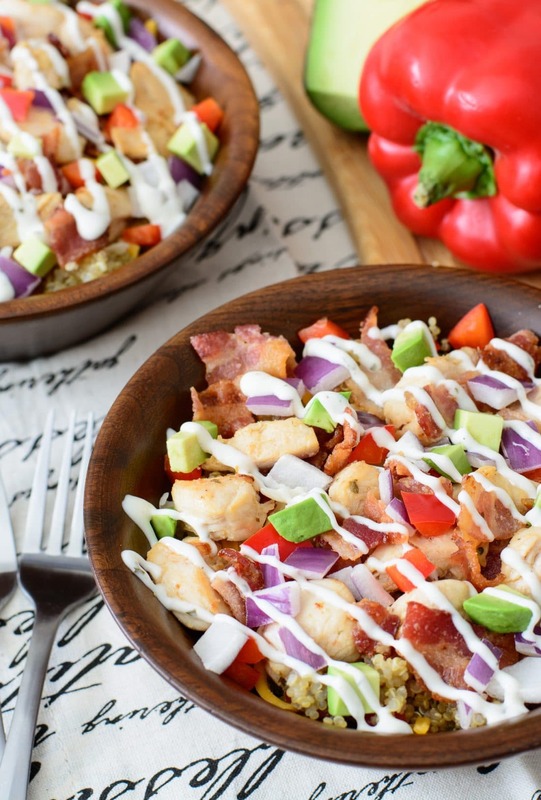 Bacon & Ranch Chicken Quinoa Bowls – cooked bacon, quinoa, red onions, avocado, ranch dressing and Tyson Fully Cooked Chicken. 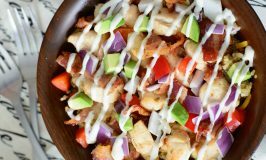 See how easy it is to throw together an amazing meal the whole family will love in less than 10 minutes. It’s genius for busy, activity-packed nights! 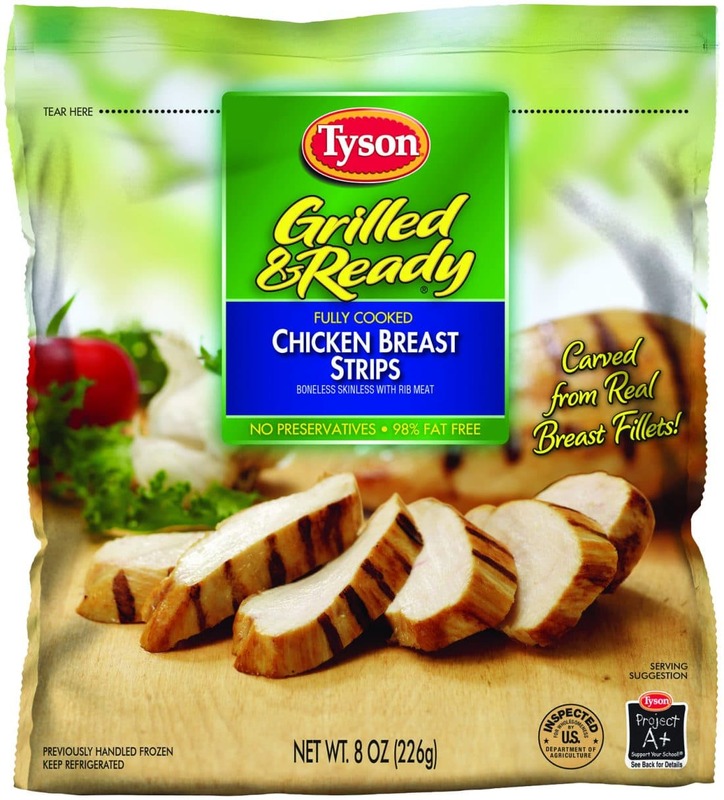 Make sure to grab some Tyson Fully Cooked Chicken and whip up an easy, delicious meal your whole family will love! 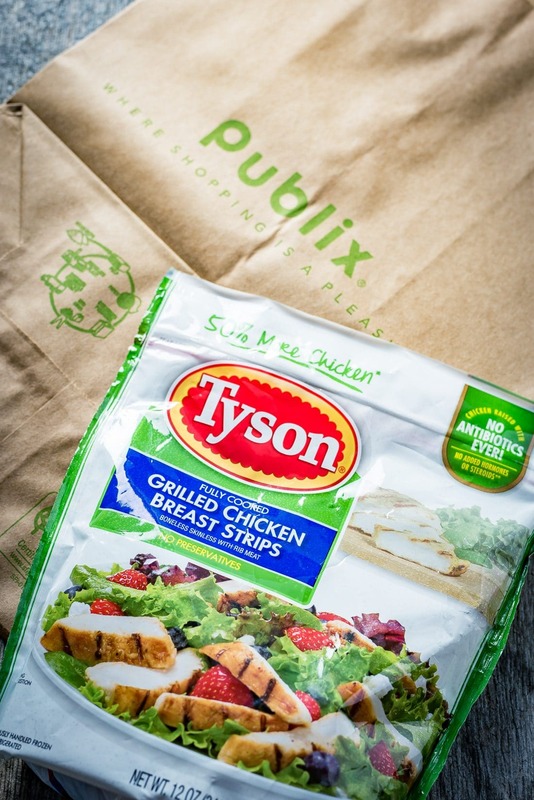 For my fellow Publix shoppers, use this coupon to Save $1 on any ONE (1) Tyson® Refrigerated Fully Cooked Chicken!